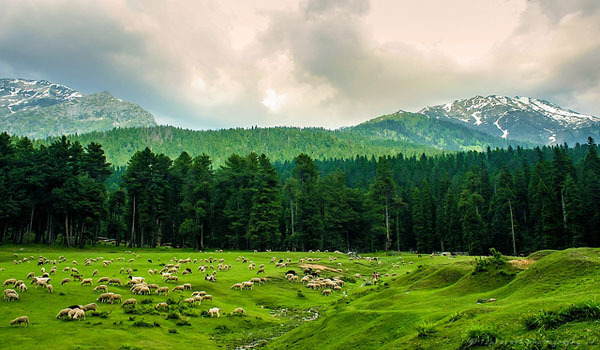 Kashmir is a region located in the northwestern part of the Indian subcontinent and it shares its border with another state of Himachal Pradesh. This is a state named jointly with Jammu and called as Jammu and Kashmir. This state is located around the Himalayas. Jammu and Kashmir comprises of three districts the Kashmir valley, Jammu, and Ladakh. The summer capital of the state is Srinagar, and Jammu is known as the winter capital. The valley of Kashmir is famous for its gorgeous hilly and snowcapped rocks and icy landscape. The beauty of Kashmir can never be experienced without seeing it closely as it is recognized as a nature’s gift to the earth. If you want to enjoy the gorgeous Mughal Gardens such as Shalimar Garden and Nishat Bagh to see the beautiful and eye striking lotuses floating on the lake gardens. You will love to sail on the Shikaras with loads of flowers on it and the lush eternal natural beauty around you. To enjoy unending outdoor sports in Gulmarg which is the most happening tourist spot of the state? Here you can go for mountain biking, horse riding, golfing, and water skiing trekking, and fishing too. This place has the largest ski resort of the country and world class golf course. Want to explore the rare species of the state like musk deer, leopard, Himalayan Langur etc. on Pahalgam. From here you can also bring some aromatic spices right from the gardens. Kashmir is a heaven for the fruit lover and you can get fruits directly from the orchards like apples, peaches and cherries. If you want to explore the natural beauty then this place is best for you as The Mughals called it as ‘The Paradise on Earth’. 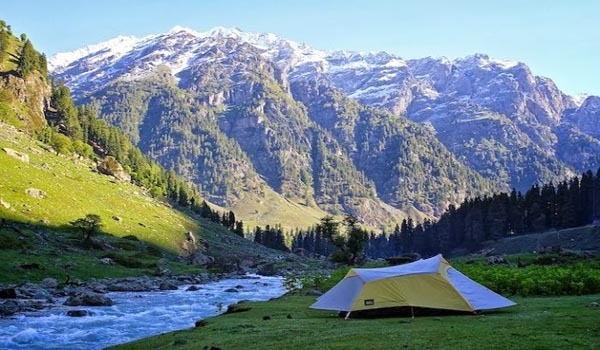 Want to explore the various hill stations like Sonmarg, Yusmarg and Aru which are known for their scenic and picturesque beauty that is really mesmerizing. If you are in Kashmir do not miss to explore the magnetic Gulmarg where you will stick with the scenic beauty of the valley. Do not miss to go for skiing and other sports as this is the perfect place to enjoy your summer holidays. If you are a golfer then this will be one of the best experiences of playing here as it is the utmost green golf course in the globe. Fill up your shopping bags for some authentic wood work of the valley which has no match around the globe. You can also get exclusive and intricate silverware in this state. Various handicrafts of paper mache, embroidered clothes, silk clothing, woolen wears, and carpets and most importantly the dry fruits are to be shopped to be remembered as the work is the sole art found all around the world. Do not forget to have the authentic cuisine of Kashmir like kasmiri dum aloo, gustaba Wazwan, Rista, Tabak Maas with Biryani and most importantly the most refreshing Kahwa which is a staple drink of the state as it is made with various aromatic spices with saffron. Visit Dal Lake the “Jewel in the crown of Kashmir” , it offers stunning beauty the blend of natural beauties. Located in Srinagar the capital of Kashmir Dal Lake is a must to do thing , enjoy you boat ride in Shikaras . For couples this one will be the most romantic thing you can do in Kashmir like Gondola rides in Venice . Shalimar Garden and Nishat Bagh are located on the bank of Dal lake which adds to its phenomenal beauty. Help us to improve this article/list "Kashmir". We would be glad if you can comment below and provide your valuable suggestions and feedback. If this page about Kashmir have any wrong information/list or out of context content, then you can report us as well.